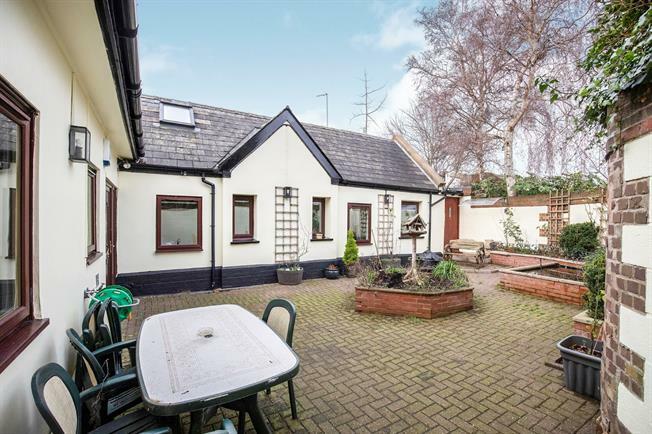 5 Bedroom Detached Bungalow For Sale in Cheltenham for Guide Price £600,000. This versatile detached bungalow comprises entrance hall, kitchen, sitting room, two shower rooms and 3 bedrooms to the ground floor. There is a first floor extension that has a WC and two further bedrooms. The property benefits from gas central heating, double glazing, electronically operated velux windows, enclosed courtyard garden and gated driveway parking.